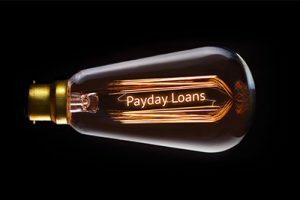 A short term loan with a bad reputation, we go over what you need to know to compare the best payday loans available. What should you look for in a good payday loan? There are no early repayment fees. There is no / a small late fee. You have a high chance of being accepted. They are the lowest possible APR%. They have good customer reviews. And most importantly make sure you can afford it. See the Money Advice Service to avoid debt problems related to payday loans. 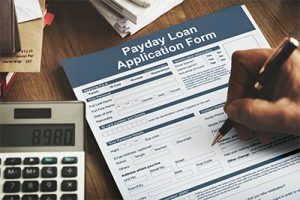 Find the best payday loans for your situation, including comparisons of interest (APR) rates, credit rating requirements, employment status, benefits, bank account requirements, direct payday lenders, with or without a guarantee, and the duration of your loans (days, weeks, months, or years). Here we’ve compared our favourite payday loan lenders based upon all of the main factors including APR, late fees, rollovers, terms, and levels of acceptance. Piggy Bank has a very good APR% representative of 1270% compared to other providers. It also has great online customer reviews from 3rd parties. Although you may have a bad opinion of Wonga from the bad press, it may have made them clean up their act. Their APR% is around 1286% representative, and they have good online reviews. Sunny was our winner last year, and still represents a good deal at 1291% APR representative. They also have a fantastic online reputation, with no late fees. The APR is a good measure of the overall cost effectiveness of your payday loan, and so here we have our top 3 lowest APR payday loan providers in the UK. Wizzcash represent the best APR% representative at the rates we checked around 1265%. However their online reputation on 3rd party sites is non-existent (minimum reviews) and so it’s difficult to judge them properly. If you’ve just turned 18 then you might not have the credit rating or proof of income that the majority of lenders are looking for. However there will be some payday lenders who can offer you a service, see our list below. You find some alternatives are better, such as a first time credit card. Although you cannot legally be held to contract as a 16 year old or 17 year old, some lenders may allow you to take out the loan. In this situation we advise you to have your parents as a guarantor, and read through the terms and conditions thoroughly. We have a guide for getting finance for young people, read it here. Life is hard sometimes, and if you find yourself in a situation where you cannot pay your debts, then you may end up with a poor credit rating. Likewise if you’ve been let go from your place of work, or you’ve been out of work for some time and are on benefits, it can feel like there is no easy access to financial help when you need it. That’s why we’ve collected the payday loan providers who are most likely to help you if you’ve been rejected by traditional banks or lenders, offering short term financial help to those on benefits, with bad credit or the unemployed. A direct lender is someone who will give you the funds directly, the company you provide the information to will be the ones lending you the money and guarantee the terms of the agreement are contractually binding. This is compared to payday loan brokers, who collect your information and then resell those details onto the highest bidder of loan provider. Because these brokers take a commission the loan you eventually get will often be under worse terms, because the loan companies have to compensate for the money they have provided to the broker. Can I get a payday loan without a credit check or employment history? Unfortunately it is near impossible to find a payday lender who will not check your credit history when applying for a payday loan. 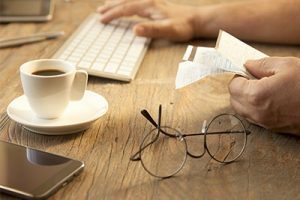 The same goes for your employment history or wage evidence, as these are the two main factors they use to calculate how much interest they should charge on your loan agreement. You also must have a bank account and debit card to be able to apply for a payday loan, as this is the main method of giving and taking repayments. A payday loan is a short term loan that is supposed to bridge the gap between now and the day that you get paid from your job. They are usually short term loans (between 2 weeks and 6 months), and come with a high interest rate as a price to pay for the convenience (often over 1000% APR). You can find out more about these loans by visiting Citizens Advice. APR stands for the annual percentage rate of the credit or loan you have taken out. Therefore it is the interest you will pay over an entire year for that loan, and it is often a simple legal requirement to display this figure, as these short term deals are usually not taken out for more than 3-4 months. The APR is a figure better used when assessing a credit card or long term loans, as these are more likely to be used over a period of years than months. Payday loans are completely legal for those over the age of 18. The companies providing these services have been heavily regulated over the last few years by the government, as well as the Financial Conduct Authority (FCA). Are Payday lenders loan sharks? You can also join the cause to stop the practice of loan sharks, find out more here. Whenever you’re dealing with financial applications, it can feel like your very character is being judged by the lender, as if you’re reduced to simple numbers on a page, and whether or not you’ve been in work for a long period of time. Here we have some recommendations for getting through the application process as smoothly as possible, and getting accepted for your loan as fast as possible. Finance is about risk. Imagine if you were lending a friend £5, you might not even think much about it at all, and would be much more likely to give them the money. However if they asked for £500, you’d be a lot more hesitant, asking what they wanted it for, and if they were sure they could repay you the money. This is a lot like a payday loan lender, the simple fact is they want to know that you’re going to be able to and want to pay them back! So what’s the point of this? Well the smaller the amount you borrow, the more likely you are to be accepted, because it’s a less risky loan for them to give you. So you should only borrow as much as you need, and make efforts to find money in all other places before resorting to a short term loan. Fast approval relies upon the evidence you can give that you are a low risk person to lend money to. The factors that contribute towards this are your credit score, how long you’ve had a regular income, the amount of money you’re asking for, and how long you wish to borrow it for. There is also a different between lenders on how fast you can be approved, with some payday loans being offered within 15 minutes of applications being submitted. 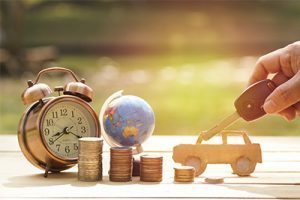 These can offer a near instant decision on the same day of your eligibility for the loan, which is especially useful if it’s an emergency, or you need instant payout for other reasons. Like most things there will be exceptions to this rule, however we recommend you prepare all of these things ahead of time, by scanning in the relevant documents so that your application can be processed as quickly as possible. Debt can spiral out of control very easily if you let it. With interest compounding a small short term loan can soon turn into a huge financial burden that neither you nor your loved ones will be able to easily repay. What do I do if I’ve been scammed by a payday lender? Lenders pursue someone who’s had a loan fraudulently claimed against their name. CPA (continuous payment authority) fraudulently set up on a debit card. What do I do if I can’t pay back my payday loan? Circumstances can get the better of you, and you may not be able to pay back your payday loan. If this is the case, the following is likely to happen. At 5am on collection day lenders will attempt to take the payment, if there’s no money in the account, they will continue to try to collect the debt until the full amount has been paid. Once a payment goes beyond the due date, it usually incurs a late fee of around £15, added to the total debt. The debt will also incur daily interest, adding to the final amount attempted to be taken each day. At this stage communication is key! If you contact the lender to demonstrate that you’re currently struggling to repay the debt, and that you’d like to negotiate a plan to pay it off in installments, they will often agree to freeze the interest and have it paid back in smaller amounts. There is some great advice about debt on the National Debtline, or CAP UK. However if you fail to communicate this to them, the next stages will be debt collection, or county court orders. To read about how to deal with debt collectors click here. What is debt assistance / settlement? There are plenty of examples where these short term loans have ruined peoples lives, here are just a few examples. Steve Perry in 2009 used a payday loans for a holiday, after signing up online for a £250 weekend away. The first loan was paid off in full with the interest without a hitch. However after paying this off Steve realised he was left short again for the following month, and so he decided to take out another loan, this time a slightly higher amount. Unfortunately this was timed alongside him changing jobs, in which there was a transitional period between paychecks. After speaking to the company he tried to explain the problem he had, they said he had to repay the loan no matter what, otherwise his credit rating would be damaged. In 18 months he ended taking out 64 payday loans from 12 different companies, leaving him with debts of £22,000, with the debt increasing every day. After struggling to come to terms with this, he managed to negotiate payment plans with all the companies, although this wasn’t easy at all. He had to battle hard to negotiate fixed monthly figures, often well below what the companies were demanding as repayment. During the run up to Christmas, the neighbourhood where Elliot Clark lives was bombarded with advertisements for short term “quick cash” loans, promising easy holidays in the new year, and other such frivolous benefits. 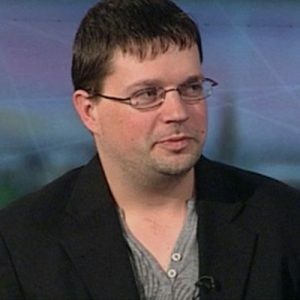 Unfortunately being a disabled army veteran, he didn’t have many options for work, and alongside that his wife was out of work and he had two children in college. 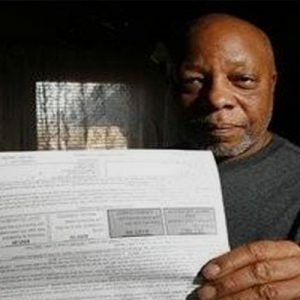 At this breaking point he turned to payday loans, running up $30,000 in debt over 5 years. The average annual interest for a payday loan in his town Missouri is 455%, which in comparison to most UK companies is actually much lower. What can we learn from these stories? Well firstly planning ahead is key, understanding when bills are due, and how much money you will have at your disposal. And if you end up needing a payday loan then you should plan ahead, calculate the interest that will be added to it, and work out if taking out the loan will also leave you short next month. If it will, then you shouldn’t take it out, as this will start the repeat spiral. If payday loans aren’t truly necessary, then you definitely should consider these alternatives as a better long term solution to borrowing, which will often have much lower interest rates and some fantastic benefits. Ask yourself if you really need this money for something essential. A loan should very rarely if never be used for something frivolous or consumable, and should be reserved for when the essential services of your life are under threat (such as food, transport, safety, and shelter). Most people have thousands of pounds worth of items lying around their home that they rarely or never use! These could easily be sold on sites like Ebay and Gumtree, or using services such as Music Magpie, which could free up enough money to avoid having to take out a loan all together. When used in the right way, a credit card can be a free way of getting that loan, as long as you pay it off before the due date. Often credit cards will have introductory offers of up to 1 years interest free credit, which effectively means you have a free payday loan, no fees or interest for one year! This usually only applies if you have a good credit score. If you don’t pay the card balance off in full before the due date then you will be subject to interest payments, which could then end up working out more expensive, so it’s important to plan your finances and calculate what you will be able to pay off at your pay day. What if you’ve got a bad credit score? Not to worry, you can often still get a 0% credit card, it is simply likely that the duration of that 0% will be less than if you had had a higher score. However they are still far more cost effective than taking out a payday loan, so we would advise you check them out. To improve your credit score, check out this article. For those on benefits (job seekers allowance, income support, pension credit, etc), the government offers a loan of up to £812 for essential items for your home, or necessary payments for rent, food, furniture, etc. Obviously the demand for these is really high, but if you’re accepted they can last for 2 years, and the repayments are affordable. While you may feel a little embarrassed, asking your family for money is often the safest and most cost effective way of clearing your debts. Your loved ones will often prefer you to ask them, instead of paying needless interest rates and fees borrowing from a bank, and they would also prefer to help you instead of you becoming overly stressed from being in debt. Using a peer to peer loan can be a more cost effective way of getting credit if you have a limited guarantee, you can see more about those here.